May Lord Ganesha fulfill all your Dreams and Wishes. May Lord Ganesha fulfill all your dreams and wishes! Om Gam Ganpateya Namaha ! 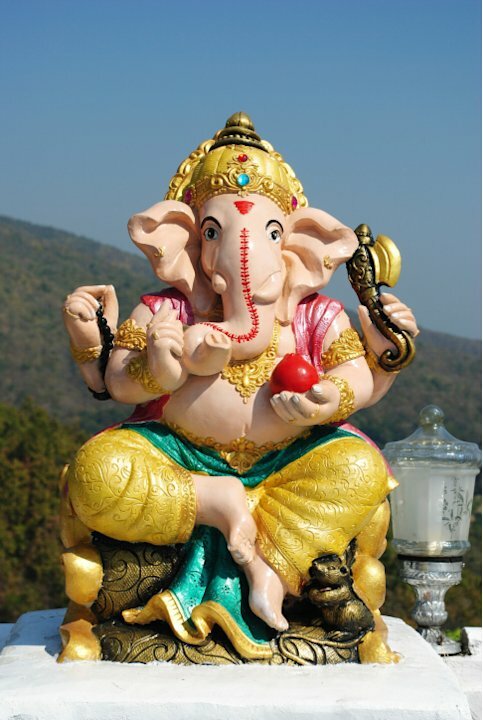 May Lord Ganesha remove obstacles from your path, the great vighnaharta that He is. Archana wants to take Krishna home . You want to take Ganesh Home . Nahin really of all the gods available to the hindus I find ganesh the cutest and sweetest and krishna the sweetly shrewdest.Subsay shyaana....kaanhaa kaalaa...the most rational logical focussed psychologist psychiatirst types....kissi ko bhee baaton may haraa denay waala....ace debator...wish all things god were real...if only wishes were horses....horses would be Chummeshwari's.